You can download our calendar as a .pdf here if you prefer – it’s perfect for printing and a great way to see everything in one easy place. 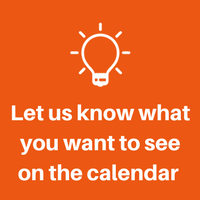 Have a good look at our members’ calendar. We hope you find things on here you want to come along to. We are always open to suggestions, so if there is something you really want to do or a place you want to visit, why not let us know, and we will see what we can do! 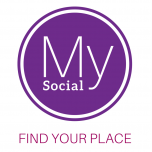 You need never feel that you are on your own at an MYsocial event, as all events have a host. That’s someone to give you a warm welcome and introduce to others, and make sure you are enjoying yourself! Most events have only up to 15 tickets available on a first come-first served basis. If tickets have sold out, then ask to go on the waiting list. If we have enough interest, we might well run the event again. 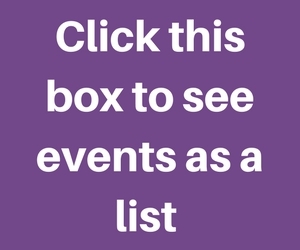 We try to keep most of our events free or under £10 but charge a non-refundable £1 booking fee on some of our events – this helps us towards keeping the lights on, the website up and running and making sure your events run smoothly with a great host. For the best possible prices make sure you sign up as a member. You can filter the calendar based on what you’re interested in doing by hovering over the ‘show’ button under ‘our calendar’ below. 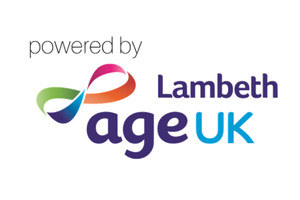 Exercise and wellbeing events are GREEN, Culture and music events are PINK , Food and Drink social events are PURPLE, Learning and participation events are YELLOW, trips out, either in London or out of the City are RED. GREY means an event is sold out. There are two reasons to book your tickets early. 1) Some of our events are extremely popular, if you delay with booking you may come back even an hour later to find all the tickets have sold out. We operate on a first come first served basis so make sure you’re first! 2) Our events are put on with the help of wonderful volunteers who are often very busy and we run them to help facilitate social interaction. If we don’t have enough attendees signed up in the week running up to the event to make the event viable (usually 4 people) then we will make to decision to cancel it. In this case, you may find the event you were going to sign up to later has been cancelled and the opportunity is missed! So don’t hesitate, click ‘register now’! We also have a separate calendar of partner events that you can see here. These events are not run or hosted by us but are run from partners we trust. We hope you have fun at one of these MYsocial events.